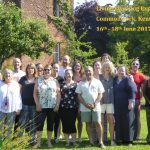 Come and live in an ‘transformative environment’ for three days, in a beautiful organic farm study centre in Kent. Also find time to relax, be playful, have fun and recharge your batteries! Our courses are for any who want to get a taste of the transformative power of relationships by experience, rather than just by hearing about it. To find out about the upcoming Therapeutic and Environments Practitioner Training, click here.